With more than 100,000 customers in over 100 countries, Mitel’s 35 year experience in the IP and Digital technology market sets them aside from a lot of manufacturers. Its hybrid technology embraces historic and future technologies. 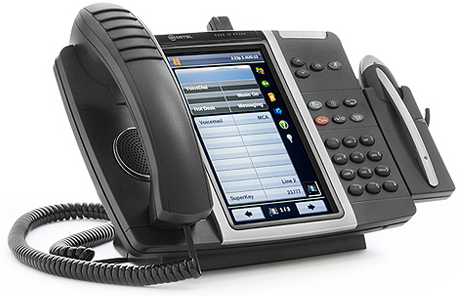 Key business features of the Mitel MiVoice system include: Advanced Voice Mail with multi-level Auto Attendant, Call queuing including average time to answer, Built In Call Recording, Voice Mail to Email, Mobile Twinning and Xarios Phone Manager CTI software, scalable to 250 extensions.